By this point in the tutorial you should have a “playable” game, though it’s pretty boring because there’s no scoring, no modes, and the display just shows PLAYER X BALL X the whole time. So in this step the real fun will begin as we configure our first game mode! So far all of the configuration you’ve been doing has been machine-wide configuration which was stored in the /config folder in your game’s machine folder. All of the configuration options you added to the config.yaml applied machine-wide. In this step, we’re going to add a /modes folder to your machine folder. Then we’ll add a subfolder for each game mode, and in each we’ll create a YAML config file that controls what happens in that specific mode. What’s cool about MPF’s modes system is that all of the configuration you do for a mode is only active when that mode is active. In fact from here on out, almost everything you configure will be at the mode-level rather than the machine-wide level. As we go deeper into the tutorial and the How To guides, you’ll start to get a feel for what types of things should be in the machine-wide configuration versus the types of things that should be in mode-specific configurations. Pretty much all the hardware (coils, switches, lights, leds, ball devices, platform, DMD, etc.) are configured as machine-wide settings, and then game logic-type things (scoring, shots, sound effects, animations, light shows, etc.) are configured as mode-specific settings. The first step to setting up a game mode is to understand how game modes work in MPF. So read that documentation now to get an overview, and then come back here for the step-by-step walk-through of doing your first mode. Create a folder called modes in your machine’s folder. The settings that control a mode are configured the mode’s own configuration file. We do this because it allows modes to be completely self-contained. In other words, as long as you have a mode’s folder and all its content, then you have everything you need for that mode. There are lots more settings besides start_events and priority which you can set for a mode. See the mode: for details. The two settings we added here should be pretty obvious. 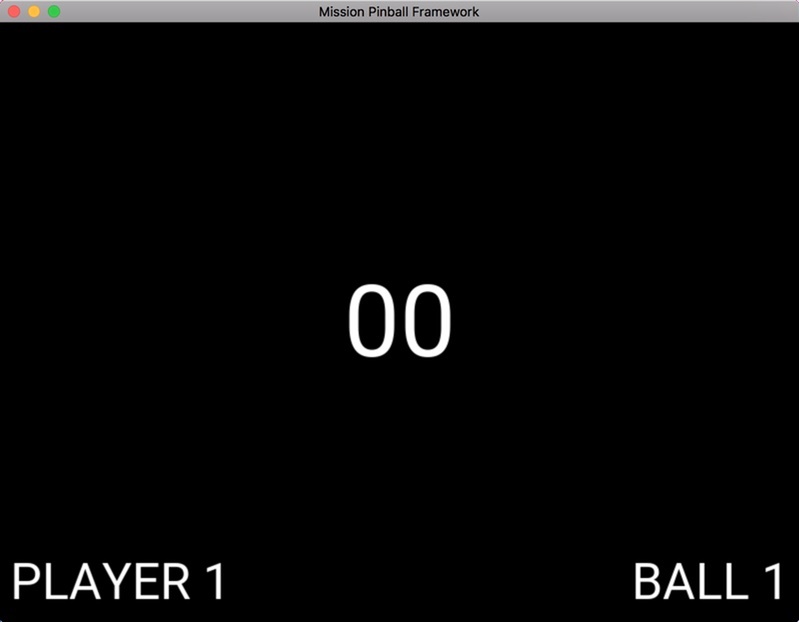 The start_events: ball_starting means that this mode will automatically start when the MPF event ball_starting is posted. (In other words, this mode will start whenever a ball starts.) You can also enter a list of stop_events to control how the mode ends, though if you don’t enter one here then the mode will automatically stop when the ball ends, so you don’t have to specify a stop event now. Also, when you create your own modes, keep them between 100 and 1,000,000. MPF has some built-in modes above and below those values that should stay at the top and bottom of the priority stack. Now that you have a mode set up, you need to go back to your machine- wide configuration file to add this new mode to the list of modes that your game will use. At first you might think this is a bit confusing. After all, you just created a folder and a config file for your new mode, so why do you have to specify that mode in another location too? Note that it’s very important that you put dashes in front of each mode in this list? Why? Because with dashes, MPF will be able to combine settings together in this list from different config files. We briefly touched on the slide_player: functionality earlier in this tutorial and how you can configure it to show certain slides when various MPF events happen. Anyway, if you look at the slide_player: settings, you’ll see that the slide that is shown when the event mode_base_started is posted contains three text widgets. One that shows the score, one that shows the player and one that shows the current ball number. Note that the text: entries for those have have some words in parentheses. Words in parenthesis signs are variables that are replaced in real time when they’re updated. In this case these are “player variables” because they are values that belong to the current player. More on using dynamic text (that is, text that automatically updated itself as underlying values change), is here. Also note that there are some additional positioning settings, like x:, y:, anchor_x:, and anchor_y:. You can read about these in our How to position widgets on slides guide. Finally, note that the text widget showing the score has settings for number_grouping: and min_digits:. You can read about what those do in the documentation for the text display widget. 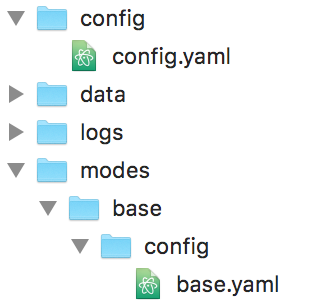 If you want to see a complete config.yaml file up to this point, it’s in the mpf-examples/tutorial_step_14 folder with the name config.yaml.